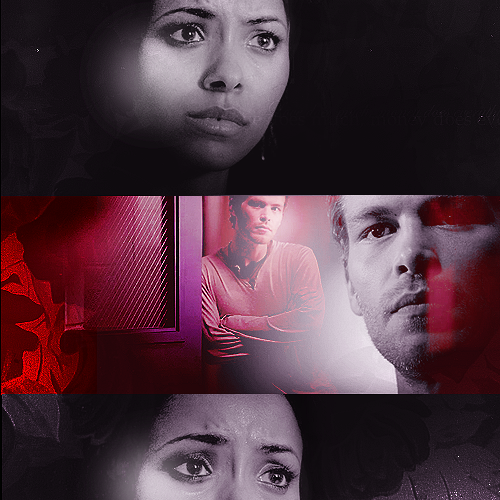 Bonnie and Klaus. . Wallpaper and background images in the Bonnie's Multi Shippings club tagged: bonnie bennett tvd the vampire diaries kat graham klaus joseph morgan klonnie. “Please”, she whispered, her doe eyes looking at him. He could feel the pang in his chest dig deeper, hearing the anguish in her voice. He silently cursed himself for letting the witch get under his skin. He hated it. He hated her for making him feel human again. Something he hadn’t felt for hundreds of years. “You should leave, darling, your presence is not wanted,” he mustered, trying his best to stay composed. His hardened his gaze, willing himself to not do anything that she might suspect. It was the only way. The only thing he could do to keep her away from him. To keep her safe. That’s all he wanted, that’s all he ever wanted. “I don’t believe you, you said-” she said, with fierce determination. “Just go.” Stay. “Everything I said was a lie!” I meant everything. “I could never lo-”, He stopped, his heart beating erratically in his chest, watch tears spring into her eyes. He looked down and walked away from her. From the only person whom wasn’t afraid of him. From the only person who could ever, possibly love a monster like him.